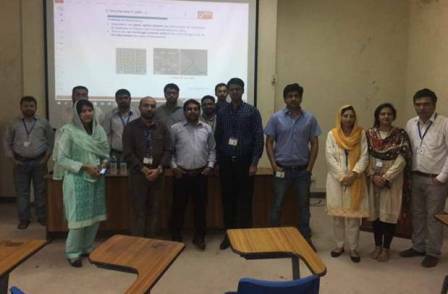 Benade Physics Society invited Dr Qasim from Information Technology University (ITU) to present a talk on ‘Light structuring via nanostructured Meta surfaces’ on 06 April 2017. He received his BS (Hons) degree in Electronic Engineering from International Islamic University Islamabad (IIUI). 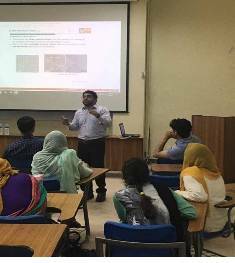 He then started his MS from Ghulam Ishaq Khan Institute (GIKI) and has completed his PhD from National University of Singapore. 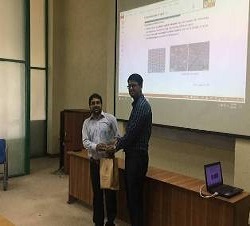 The event took place on 06 April 2017 at 02:30 pm in Armacost Science Building. 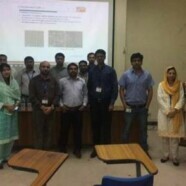 The talk was attended by baccalaureate and postgraduate students of physics.